Join our talented and passionate team. We are passionate about our business, and recognize that success comes from great people. We provide our employees with the tools to get the job done and to help us deliver products and solutions for our customers that exceed their expectations. Creating an environment where top performers can progress rapidly, based on skills and ability, is one of our key goals. “Hands-on” management and employee empowerment are the standard. Our culture allows ideas to be acted upon, challenges faced, and communication and feedback to be shared. We support an environment where constructive differences of opinion are encouraged and welcomed. Our goal is to create and maintain an environment where employees can contribute creative ideas, seek challenges, assume leadership roles, and continue to focus on meeting and exceeding both business and personal objectives. To grow, we find it essential to provide each associate on-the-job development, supplemented with suitable training as necessary. We’re a well established, expanding Mortgage Banker, in business since 1988. We provide the options to bank or broker loans and are licensed in 49 States and DC. As one of the few to offer a wide array of loan products – Conventional, VA, FHA, Down Payment Assistance programs, HomeReady™, and USDA – and as a Fannie/Freddie seller servicer – we’re committed to providing our customers with the most competitive rates and loan fees available – our rates beat most of our competitors. Additionally, we provide personalized marketing support, in-house underwriting, doc drawing, and funding departments, competitive compensation plans, and technologically advanced web-based loan origination and customer management tools. In-house, we’re here to support you with an on-site appraisal department, intelligent underwriters that employ open lines of communication to ensure fast turn around times, and over 400 accomplished mortgage professionals nationwide. Fill out the information below to get started. You'll be redirected to the full application. Ask one of our expert loan officers. Email renovation@lhfs.com, or complete the form below. Email systembuilt@lhfs.com, or complete the form below. Land Home Financial Services, Inc., NMLS #1796 /www.nmlsconsumeraccess.org/ The rates and fees are subject to change without notice.This advertisement does not represent a commitment to lend. Contact a Mortgage Loan Originator for details. /Branch location: /1508 NW Vivion Rd. Ste 307, Kansas City, MO 64118/. /Equal Housing Opportunity. This site is not authorized by the New York State Department of Financial Services. No mortgage loan applications for properties located in the state of New York will be accepted through this site. 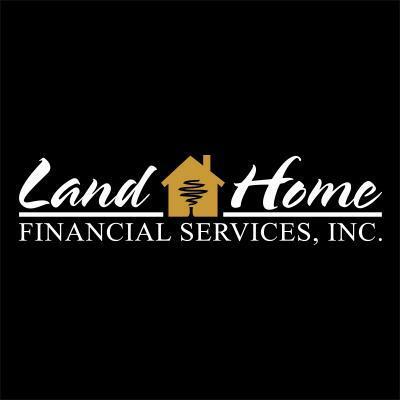 Copyright © 2019 Land Home Financial Services, Inc. All rights reserved.